Tues. #2 is HERE. To help the website out please subscribe to Mistah MegaManFan so we can reach 1,000 (current count: 848). If you're a gamer you'll enjoy the content! Don't miss The Wrestling Nerdcast, Ian's SD Live Recap and Glove Up or Shut Up at 8 PM ET! With the cheap plugs out of the way here's Wednesday's latest wrestling news. 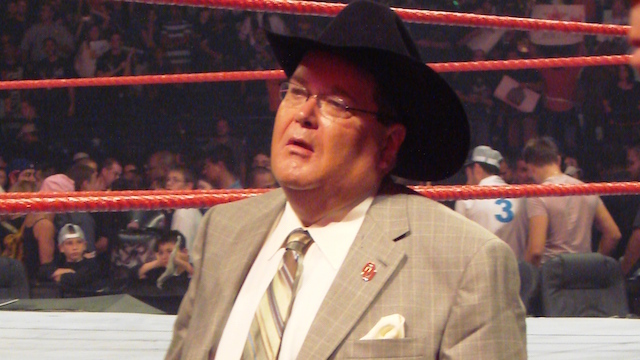 In an interview with TMZ, Jim Ross said he'd be open to a WWE return down the road but that "now was the right time" for him to leave. Guess who has a new manager? EC3 has been paired up with Drake Maverick. Something is definitely up with Dasha Fuentes. The 205 & SmackDown Live backstage interviewer has had her profile blanked on WWE's website and at least one source is reporting that she was released this week. (PWS) She did note recently (and somewhat cryptically) on her Instagram that it's been an interesting week and that she was "going on vacation that's not for work!" New WWE related videos including (but not limited to) last night's SmackDown Live highlights are available below. Drew McIntyre left the match with The New Day early and it's being speculated it was due to an injury. More wrestling related videos are available below. Believe it or not WWE is hiring a continuity director/script supervisor. Watch Vince McMahon fire that person less than a week after they get hired.